45″ wide 100% cotton -one of sevearl pieces from the “Traffic Jam” collection of cottons, that are great for creating active wear for infants to toddler boys. Great stripe that echoes the look of a highway. 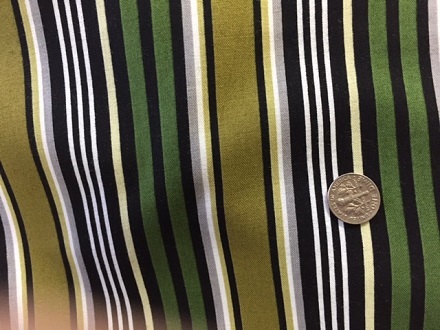 Stripes can be used in so many different ways for garment sewing to quilting. Great colors and lots of options! !